The Important Stock Photo Question: What Else? 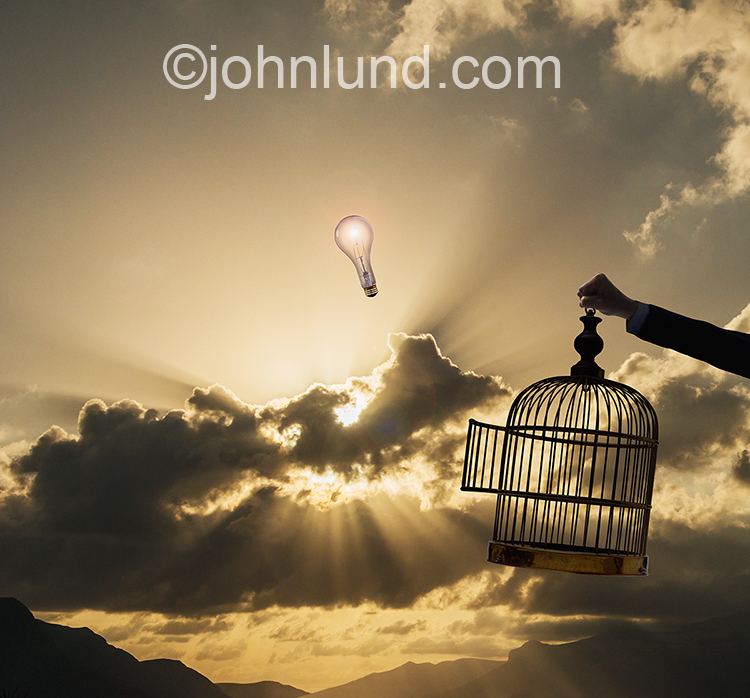 In this image about creativity, ideas and imagination, a light bulb, released from a cage, rises up to a sky filled with the rays of the sun. The way I have approached stock photography in the last few years has evolved. It was as I finished a recent image that it occurred to me that there is a very important question any stock shooter needs to ask themselves in regards to whatever image, images or shoots they are undertaking. That question is: What else? 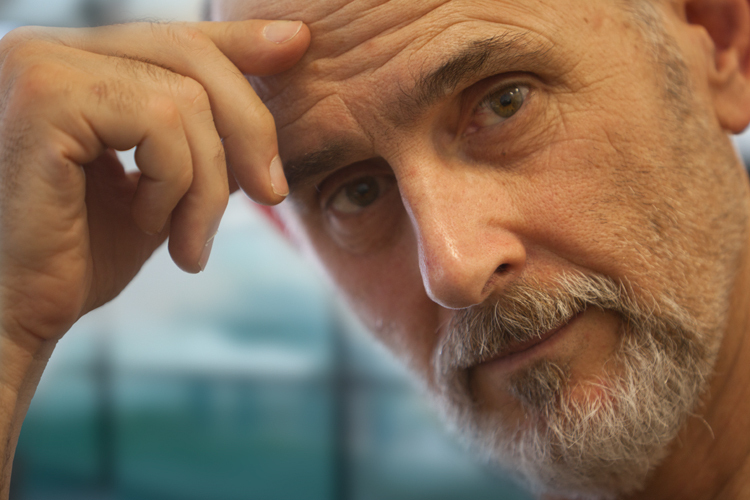 Asking what else can lead to higher productivity, more creativity, and more income. This image of a bird released from it’s cage is a great example. The concept is primarily one of freedom. Once I finished the image I sat back and asked myself what else I could have escaping, or released from, the cage. As I mentally ran through different possibilities it suddenly struck me that a light bulb lifting into the sky would make a great concept image for ideas, creativity, and the importance of not placing limits or restrictions on our imagination. This new image is about thinking outside the box…but without the box. Sure, the light bulb is a tired and hackneyed symbol, but it is also iconic and instantly recognizable as demonstrating ideas. Putting a tried and true symbol in a new and different environment or situation is a powerful way of catching a viewer’s attention and offering a clear and strong message. In this example I asked what else at the end of an image…but it is a great question to ask when planning a shoot, or even editing one as well. If you have a particular idea in mind for a shoot it can be easy to miss viable shots that happen to be outside the parameters of what you were actually aiming for. Take one last look at the shoot asking yourself “What else”?